Whether you write contemporary, historical, paranormal, or science fiction – a great story is always rooted in great world building. No offense to any of my writing friends, but I seem to write everywhere EXCEPT my home office! Using a tri-fold poster board or large dry erase board for my world building simply won’t work. After I discuss some world building fundamentals, I’ll give you some tips and tricks on how to design / create portable world building materials. Once your book is published, don’t let your world building sit on a shelf! Reuse it to help with your marketing and promotions to sell more books! 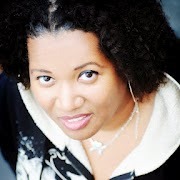 C. Morgan Kennedy is the author of multicultural futuristic and steampunk novels. A self described ‘Blerd’ and Afrofuturist, Morgan puts her Bachelor of Science in Mechanical Engineering to good use imagining all manner of gadgets for her stories. As the co-founder of Author Marketing 101, she seeks to demystify marketing fundamentals for the writing and small business communities. The ‘Author Marketing 101 Guide & Journal’ is currently available in both print and e-book formats.